Indian weddings are gorgeous. It's a fact. But to pull of a desi wedding thats stunning, intimate and well, perfect is no easy feat. 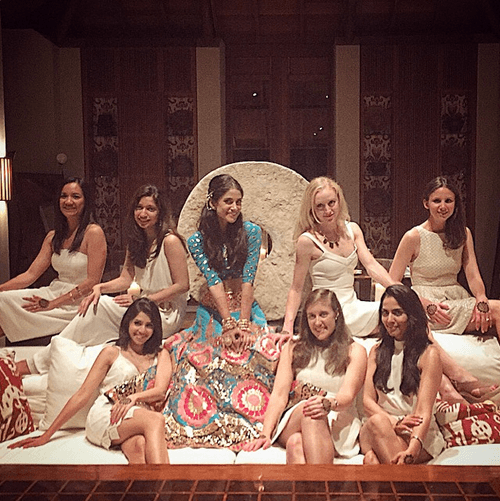 POPxo Style Council member Melanie Kannokada’s fairytale wedding was just that. 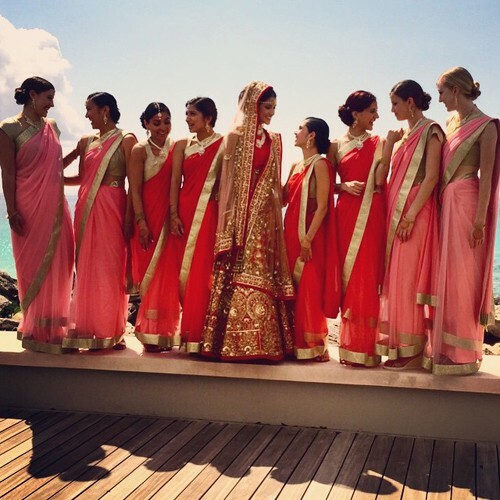 The location helped, it took place at Amanyara in the Turks and Caicos. But it was the little touches that made all the difference! 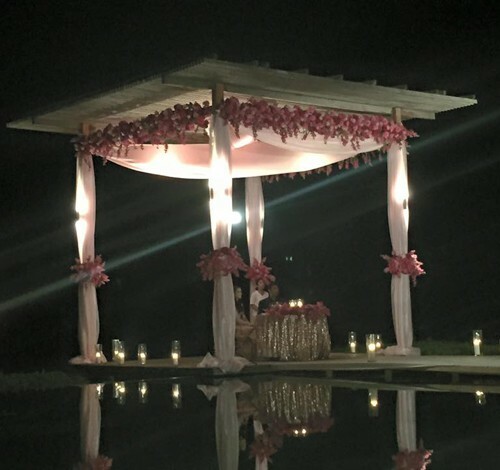 Here’s a peek into one of the most beautiful destination weddings we’ve ever seen! 1. The bride-to-be, her mother and that gorgeous bridal mehendi (in progress). Do not miss the fabulous hair! 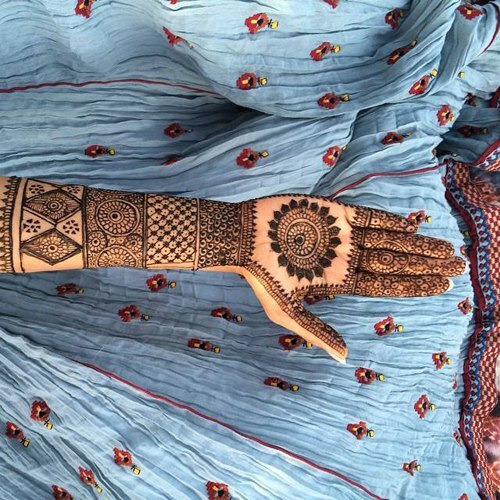 The Ritu Kumar skirt or the flawless mehendi design! 3. 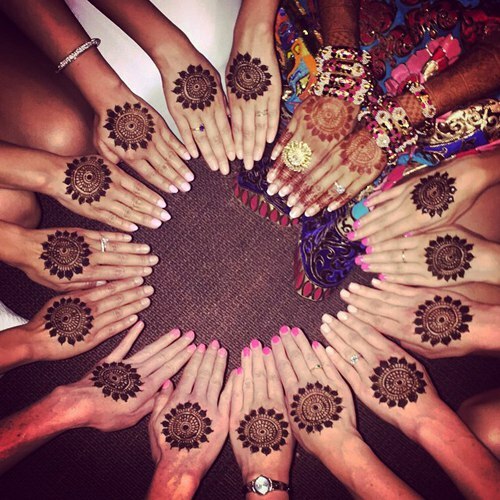 Or that moment when all the bridesmaids posed for a synchronised mehendi display! Doesn't it look just amazing?! We love how they all got the exact same design done, echoing Melanie's. 4. This one is a must for the album! Both looking just TOO fabulous for words in this selfie! When the bride and groom saw each other for the first time on the day of the ceremony! 9. 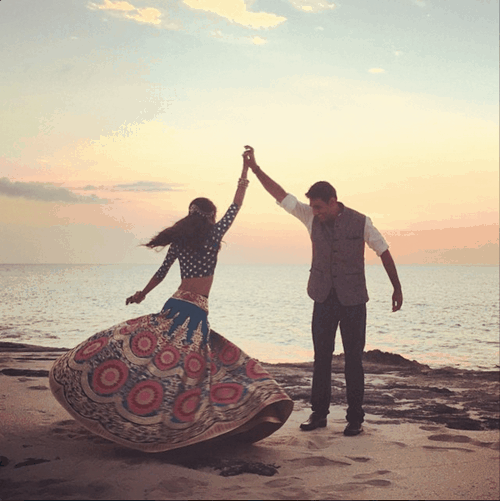 A Venue that's going to be the envy of any girl who sees the #TheChandras2015 instafeed. Yes, that definitely includes us too. And we have it on good authority all the wedding guests jumped into the pool at 2am in their lehengas and gowns. How very cool is that!! The perfect bride with her superbly co-ordinated bridesmaids. #Priceless Congratulations, Melanie and Neeraj! We couldn't be happier for you - wishing you a lifetime of happiness together. 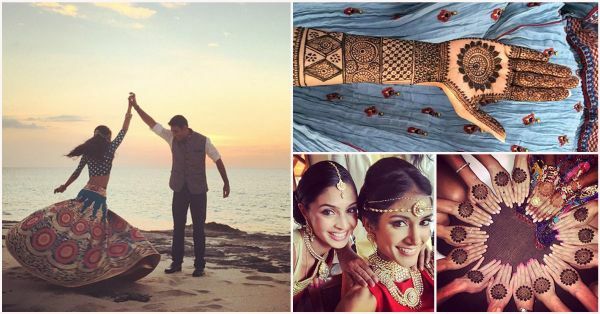 Images: Melanie Kannokada on Instagram and Facebook MUST-READ: Melanie Kannokada’s Dream Proposal and What Makes Their Relationship Work! MUST-READ: Melanie Kannokada On Getting Fit And Staying Inspired!